We are changing this category to be a forum for community arts groups, though you can continue to post information about your events here. If you would like to have your event considered for the ReichelRecommends EVENTS CALENDAR section, please contact Edward Reichel by email at ed.reichel@comcast.net. To post in this forum category, you need to register for this site in order to add your “Comment”. Please keep your listing limited to under 100 words. Your posting (comment) must include a contact email and contact phone number for your event. The Salt Lake Electric Ensemble (SLEE) announce signing with Orange Mountain Music (OMM) of New York City, NY. The record label was founded in 2001, and was developed out of a project undertaken to archive all the master recordings that Philip Glass had made. OMM will release SLEE’s recording of Glass’ classic 1970 masterwork, Music With Changing Parts, worldwide on Feb. 16. Relying on a combination of synthesis, sampling and traditional acoustic instruments SLEE’s recording is hypnotic, dreamlike, and psychedelic. 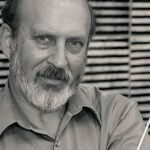 SLEE formed in 2009 with a dual purpose: to perform and record Terry Riley’s 1964 masterwork In C, and to explore music making with the most powerful and intriguing musical instrument of our time: the computer. SLEE’s 2010 recording of In C, notable for being the first rendition to primarily use electronic instruments, was lauded by critics and audiences throughout the world. Now the ensemble has turned their attention to one of the world’s most cherished and influential living composers: New York City’s Philip Glass. Glass’ extensive body of work includes symphonies, operas, chamber music, piano works and more. SLEE views Music With Changing Parts to be a culmination of Glass’s early career. The score is comprised of a progression of 76 intricate harmonic patterns distributed across 6-8 performers who are free to repeat the patterns as many times as they wish and to play the patterns using any combination of instruments. Along with these patterns, in a number of places Glass instructs the performers to improvise a series of long held tones, to be individually selected through careful listening to the prevailing ensemble sound. 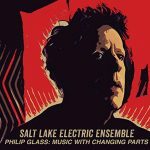 The Salt Lake Electric Ensemble have delivered an interpretation of the music that, while true to the instructions contained in the score, is thoroughly of the present moment. By employing multiple laptop computers programmed with each note from the score to assist them, the musicians of the ensemble were able to achieve exact rhythmic precision while performing, freeing them to focus on sound design and improvisation. The recording will be available on CD from Amazon.com and saltlakeelectricensemble.com, as a download from Apple’s iTunes, and will be streaming on Spotify and Apple Music. One of the most beloved holiday traditions in Salt Lake City is the Vivaldi by Candlelight concert. A benefit for the Utah Council for Citizen Diplomacy, a non profit organization dedicated to promoting global understanding and respect between the people of Utah and other nations, the concert series is celebrating its 35th year this week. Titled A Baroque Kaleidoscope, the program features music by the concert’s namesake, Antonio Vivaldi, and his German contemporary J.S. Bach. There will also be music by Heinrich Biber, Giuseppe Brescianello, Pietro Castrucci and Alessandro Stradella. Highly regarded as composers and performers in their day (late 17th and early 18th centuries), they’re now mostly forgotten except as footnotes in music history textbooks. Music director of the concert series, Gerald Elias, noted that Vivaldi had also suffered the same fate after his death. After his music was rediscovered and began being performed in the 20th century, he finally assumed his rightful place next to Bach and George Frideric Handel as one of the most important and respected composers of the baroque era. The concert takes place on Dec. 9 at 8 p.m. in First Presbyterian Church, 12 C St. Tickets are $25-$125 and include a discounted student price. They can be purchased online at brownpapertickets.com or by calling 801-832-3270.